Rialto Bridge was built in the XVI century and it’s the oldest of the four bridges crossing Grand Canal: Ponte dell’Accademia (literally Academy Bridge), Ponte degli Scalzi, Ponte della Costituzione (literally Constitution Bridge) and, of course, Rialto Bridge. Rialto Bridge is the oldest also because a first floating bridge was built back in the XII century. 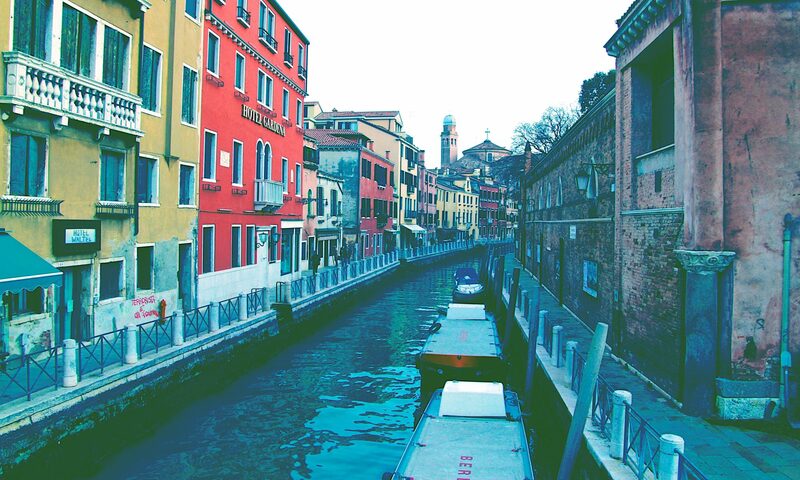 The area grew fast to become the main market of Venice and the floating bridge was soon turned into a wooden bridge. Unfortunately, the wooden bridge collapsed twice and finally it was turned into a stone bridge. The bridge, as we know it, was built by Antonio da Ponte in 1591 and it links the Sestieri of San Marco and San Polo. What is the bridge today for Venice? It is an architectural symbol and a top touristic attraction. Recently, it has been renovated so it’s definitely a good time to see it. Rialto Bridge is not just a bridge. Like many other ancient bridges in Italy, it hosts shops and boutiques selling fine works of arts, glassworks and other typical Venetian merchandise. The best part, in my honest opinion, is the view from the top of the Bridge, it is probably one of the best sight in Venice, directly on Gran Canal and embracing some of the most beautiful palaces of Venice, like Palazzo Grimani. Another must is to pass under it, on Gondola or by Ferry Boat. It is striking to see the water reflected on the white stone, very nice and cool.